Code Central has the option to make coverage data publicly browsable. When this option is enabled in the GUI, anyone with browser access to the Code Central server can review coverage statistics and trends by project without logging in to Code Central. This feature allows Code Central to share coverage data with other users without managing a long list of user credentials in Code Central Admin. Code Central can have both public and private projects. However, administrative privileges are required to create or modify any project settings. All projects existing on Code Central before the v5 upgrade will be private by default. 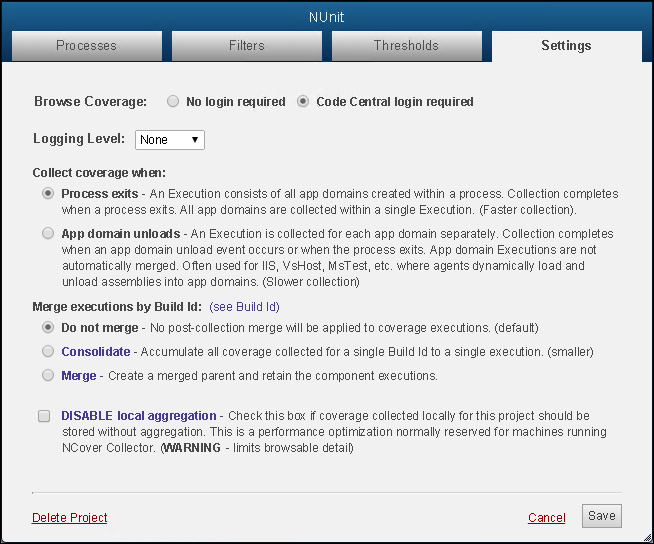 A private project requires a Code Central user log-in to view the coverage data.